The Cabinet Secretary for Health yesterday provided a statement on the Scottish Veterans’ Commissioner’s report on veterans’ health and wellbeing. 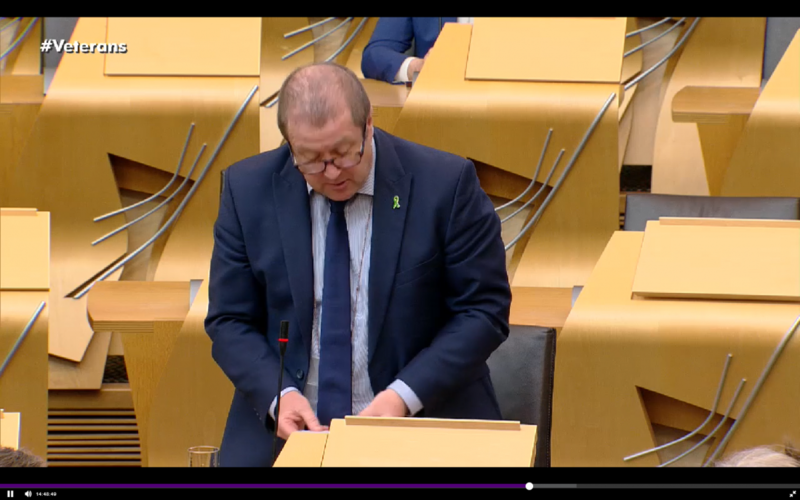 Graeme asked the Cabinet Secretary about the important issue of the MoD passing on full medical records to ensure that care can be properly provided. My question follows on from that answer. Does the cabinet secretary agree that, if veterans are to receive appropriate care and the support that they need, it is absolutely essential that the MOD passes on full and accurate medical records when requested? I understand that that is still not a given. We have been pressing United Kingdom Government ministers for some time on the need to improve the process of transferring the medical records of personnel who are leaving the services. Officials continue to engage with NHS Digital about programme cortisone, which will deliver an integrated, compatible, data-sharing capability in the NHS. The importance of that programme in assisting the transfer of prior medical history and in ensuring continuity of care after service cannot be overstated.